I didn't get Mikal Cronin when he hit the scene with his first album. In fact, going back to it now, I'm still not really a fan of that record. When MCII was released, I didn't pay much attention. Eventually I ended up giving it a listen and was thoroughly blown away by how incredible it was. I was an instant convert. 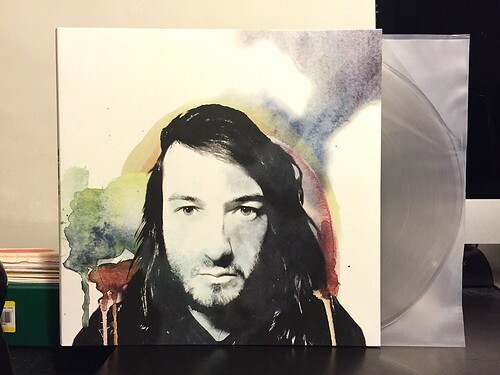 Ever since then I've been clamoring for a new Mikal Cronin album. The appropriately named MCIII is out now and I can write a review of it in a timely matter. This is going to be a difficult review to write as I'm sure it is going to seem like I don't like the album based on a few criticisms. Let's try to dispel that right up front as I think this record is really good and is absolutely worth picking up if you're a fan of his last record. Again, I'm really reminded of the Mull Historical Society when listening to these songs and that's a good thing. MCIII is not, however quite as good as the last Mikal Cronin record. The highs never soar quite as high and as a whole it feels like its missing just a little something. Actually, that's probably the wrong way to say it, as I think what holds back some of the songs is that there's too much something. A lot of the songs feel kind of cluttered and bogged down by too many added instruments. Horns, strings, pianos; some add to the flavor of the song, but some just don't really feel like they're needed. The best example of this is on the first song "Turn Around." Coincidently it is also my favorite song on the record. Strong verse, big catchy chorus and some nice string accompaniment to accent certain portions. However on top of that is this "Mr. Crazy Fingers" piano riff that lays on top of the rest of the song. I don't think it adds anything and removing it would have given the strings more impact I think. That is certainly not a deal breaker, nor are any of the other extra flourishes that probably weren't really needed. MCIII is still very good. One of the better albums I've listened to this year. There's just a little something that's keeping it from being truly great.